Do you have difficulty keeping in touch with your member population? For health plans to be effective, it’s essential to keep members as engaged as possible. However, some members are much harder to reach than others. Whatever the reason a member may be hard to reach, it’s important for health plans to try to find ways to engage hard to reach members. Be sure to establish a system for keeping member information up to date. As most of the healthcare industry adopts EHR (Electronic Health Record) systems, ensure your plan solidifies its data gathering methods. This includes the collection of contact information, medical information, and information about members’ current health plan. It’s often necessary to contact members at regular intervals in order to keep important information such as current addresses and phone numbers up to date, doing so allows your plan to maintain a variety of current contact methods. With up to date information you will also be able to accurately assess whether members are engaging in their healthcare. Email is a useful format for building personal relationships with members. One of the benefits of having members’ emails on file is that hard to reach members often retain their personal email addresses even when other forms of communication such as physical addresses or phone numbers are transient. In addition to reaching out to patients directly, obtaining members’ pharmacy records can provide a valuable insight into member engagement. Aside from the contact information that can be gleaned from pharmacy records, such records can offer information about members’ prescription profiles and refill records. In addition, the name and address of the doctor who prescribed the medications gives plans a chance to find out more information on the member. Obtaining pharmacy records is often more convenient and much less expensive than seeking physician records. Ultimately, pharmacy records are an important tool for assessing member engagement. Many healthcare organizations are finding that incentives are a useful way to improve member engagement, especially among Medicaid and Commercial populations. There are a number of ways that incentives can be distributed; it can be helpful to discuss incentive options with experienced outreach professionals. For example, as a means of keeping member information up to date, a number of companies provide members with incentives for updating their personal contact information at designated intervals. A good idea is to provide incentives for varying levels of health care engagement i.e. seeing a PCP, completing a health risk assessment, or engaging in exercise plans. Some health plans even choose to provide cell phones as part of a member’s benefits. This incentive can be a crucial means of engaging hard to reach members by giving them a means of directly contacting their health plan and care providers. Effectively engaging hard to reach health plan members is a time consuming process. If you truly want to engage hard to reach members in the most efficient way possible, it can be highly beneficial to hire a partner that specializes in member outreach. 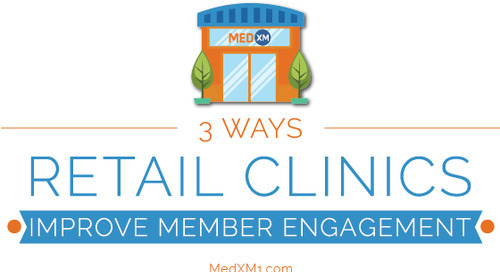 Instead of spending valuable time trying to create member engagement strategies from the ground-up, working with a specialized partner such as MedXM allows you to ultimately save time and resources while meeting your member engagement goals. Want more information on health plan member engagement strategies? 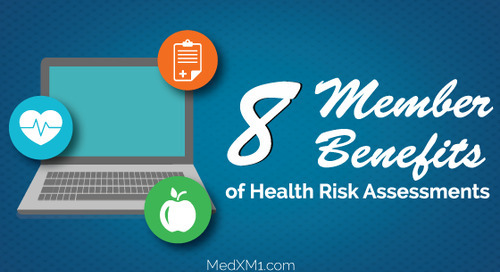 Contact us to learn more about how MedXM can help you keep your health care plan members engaged.